Mobile Apps & Games Development for IOS, Android, Blackbery and Windows using Native SDK, PhoneGap, HTML5, Adobe AIR, Xcode, Java, .net and more. It is now a trend to pack all your web identity into mobile as a standalone application format whether it connects to internet or not or work both offline and online. Almost everyone is copying their web based app into a mobile app to reach the wide audience. You may develop a mobile app to show your product, to make users interact with your product then able to buy it of course. 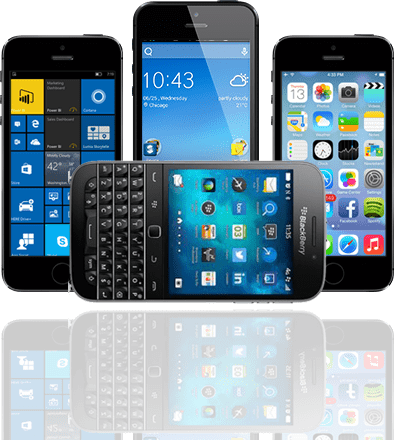 Andriod and IOS based smart phones are most popular mobile platforms that have millions of applications already in the market. At Dart, we use Adobe AIR with Flash/Flex or Phone Gap technology to develop mobile applications. Both are single code base where you don’t need to spend double cost to develop mobile native applications. Mobile games are generally free to install or less cost. Game owners generally do revenue through advertisements and in-app purchase. However there are more games just to market the brand identity. Mobile games are more addictive than web based games because of its touch and tilt events. We at Dart have experience developing most types of game such as adventure, education, puzzle, arcade, racing and lot more. We use Adobe AIR with Flash/Flex (Actionscript 3.0) to produce our mobile games. With Flash platform we can develop games at one source which can be deployed to Android, IOS, Desktop and Web. In today’s digital and electronic world, wide variety of technology expansion is happening at a lightning speed. Due to the ever growing technology boom in this modern world, wireless networks have become inseparable part of day to day life. Mobile based solutions are yet to achieve its complete potential as Businesses are still on the upgrading process to mobile era. Due to the rapid emergence of wireless technology, industries like e-Commerce, entertainment, advertising and many more have started utilizing the benefits of providing services in handheld devices. This phase of mobile revolution have made people to experience and get most out of their Smart Mobile Phones. In order to go with the Mobile Era and be up to date with the ever changing technology, we at DART Innovations have a separate strong team of skilled and experienced Mobile Application Development team. Mobile Solutions is one of the core department of DART and we make sure that we provide optimized and innovative Mobile Solutions to our clients. Based on the client requirement, we chose the most optimal architecture that will cut production cost and maximize the revenue generation. Android is a mobile OS used in handheld devices like smart phones and tablets. Android is the most widely used Mobile OS and our team of Android experts have the ability to provide end to end solutions for small, medium and complex enterprise mobile apps. Apple iOS is a mobile OS distributed with most of the Apple’s hand held devices. Apple is dominating the Mobile users with its cool UI and optimized performance & security. Our iOS experts leverage the iOS capability to interact with device and develop native iOS apps based on the requirement. DART is a complete solution provider for all kind of mobile requirement. We are experts in iOS app/game development, android app/game development, windows phone app/game development. Click here to view few our own mobile Apps/Games on the stores which are just fun developed for demonstrating our capabilities. For any of your mobile requirements, DART can provide efficient and optimized solution. Contact Us to discuss further.